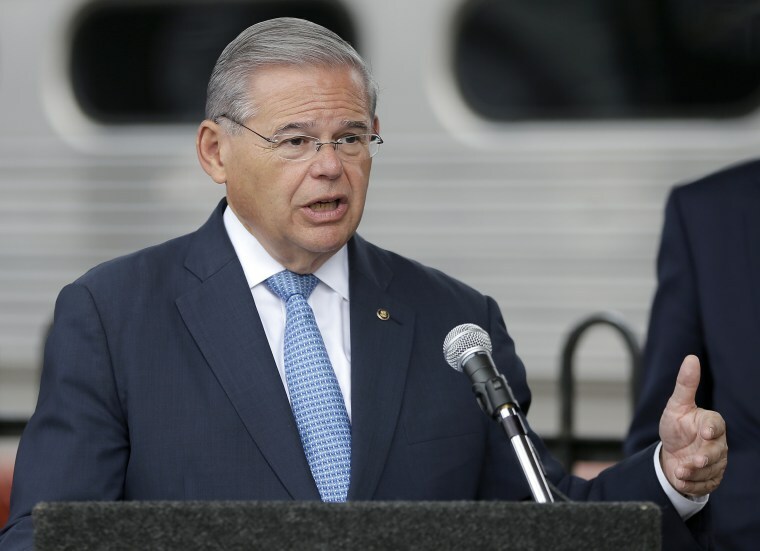 NEWARK, N.J. — A former staffer for U.S. Sen. Bob Menendez testified Monday that the New Jersey Democrat was involved in helping with the visa applications of friends of a wealthy doctor who is on trial with him. Under direct questioning from the government, former senior policy adviser Mark Lopes testified that Menendez emailed him in 2008 authorizing a letter of support from Menendez to be sent to consular officials regarding the visa applications of two sisters from the Dominican Republic. One of the emails sent around the time had a subject line that read: "Dr. Melgen's request." When the applications were denied despite Menendez's signed letter, Lopes testified, Menendez instructed him to reach out to the U.S. ambassador. The sisters were friends of Florida ophthalmologist Salomon Melgen, a longtime friend of Menendez's. The two men were indicted in 2015 and face multiple fraud and bribery charges. Prosecutors said they orchestrated a scheme in which Melgen gave Menendez gifts and campaign donations in exchange for Menendez's political influence. Menendez and Melgen have contended in court filings, and their attorneys alleged in their opening statements last week, that the gifts flowed in both directions and were evidence of the pair's longtime friendship and mutual affection, not a corrupt agreement. Earlier Monday, a vice president for American Express testified Melgen used about 650,000 AmEx points to pay for a Paris hotel room for Menendez in 2010. The case could threaten Menendez's political career and potentially alter the makeup of a deeply divided U.S. Senate if he's convicted. If he is expelled or steps down before Republican Gov. Chris Christie leaves office Jan. 16, Christie would pick Menendez's successor. A Democrat has a large polling and financial advantage in November's election to replace Christie.